Shahabuddin is facing trial in more than 45 criminal cases and was moved to Tihar Jail in February this year on a Supreme Court order. Shahabuddin is a four-time RJD parliamentarian from Bihar's Siwan constituency. 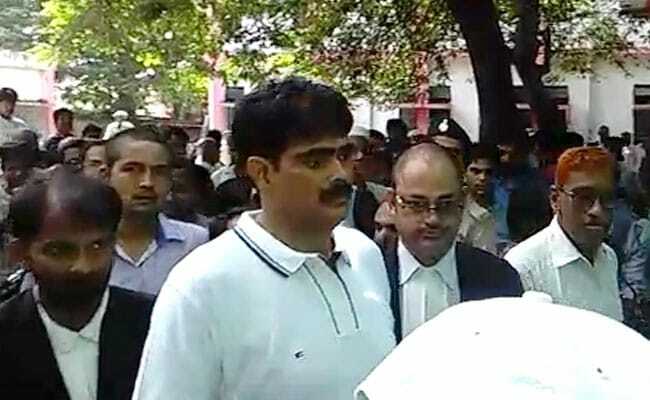 New Delhi: The CBI today took custody of RJD leader Shahabuddin, whose name has cropped up as an accused in journalist Rajdeo Ranjan's murder case. CBI sources said Shahabuddin has been brought to the agency headquarter for questioning in this case. The former Lok Sabha lawmaker from Bihar's Siwan constituency was lodged in Tihar prison. The agency has told a Muzaffarpur court that his name has surfaced as an accused in the case and it needs his custodial interrogation. The agency was granted the permission by the court to question him. The four-time RJD MP is alleged to have been involved in the murder of Ranjan, a journalist of a prominent Hindi daily in Siwan last year. Shahabuddin is facing trial in more than 45 criminal cases and was moved to Tihar Jail in February this year on a Supreme Court order on a plea by Siwan native Chandrakeshwar Prasad, whose three sons were killed in two separate incidents. Ranjan was shot dead on May 13 last year and his wife has accused Shahabuddin of having a role in the killing.